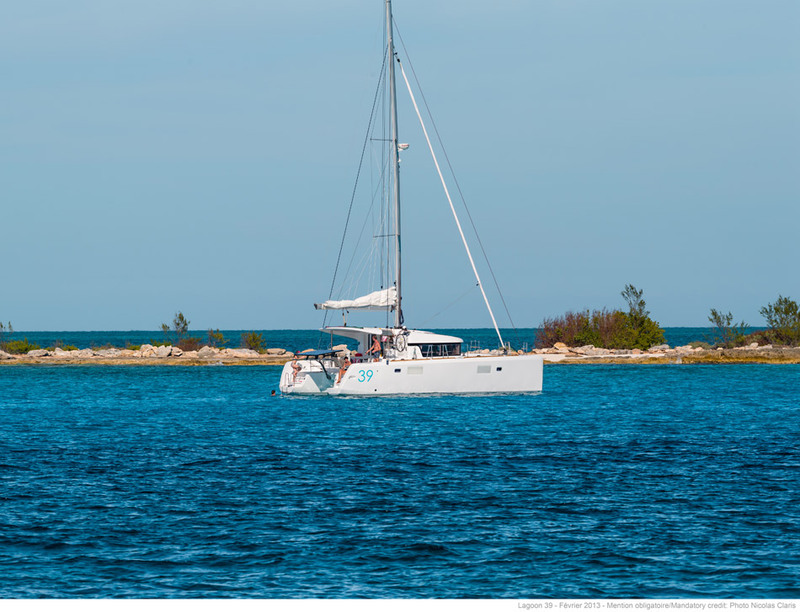 The new Lagoon 39 filiation with the new Lagoon generation is apparent on first sight as between the Landmark Lagoon 380 and the new S2 version of the Lagoon 400. 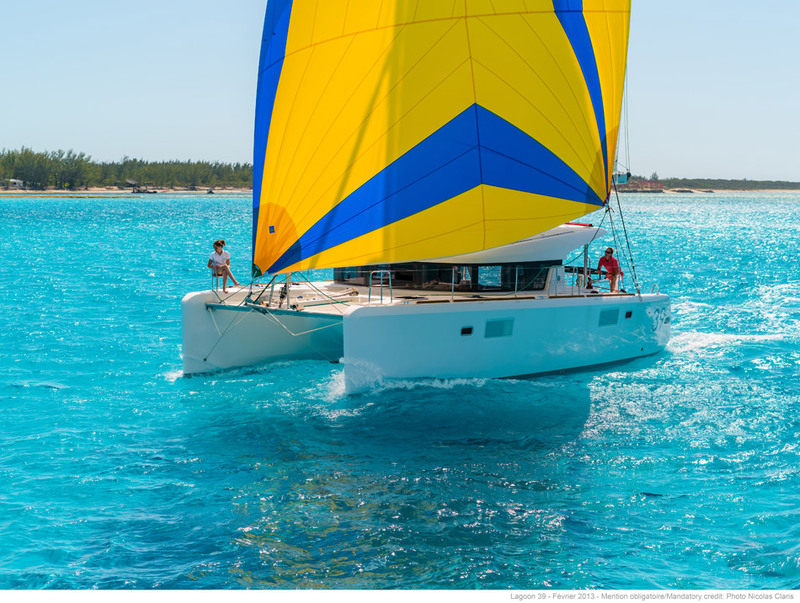 However her design follows with the new Lagoon 52 apparent on first sight: vertical, bevelled bows, centered mast for sailing sailing performance and aerial cabintop above the deck. 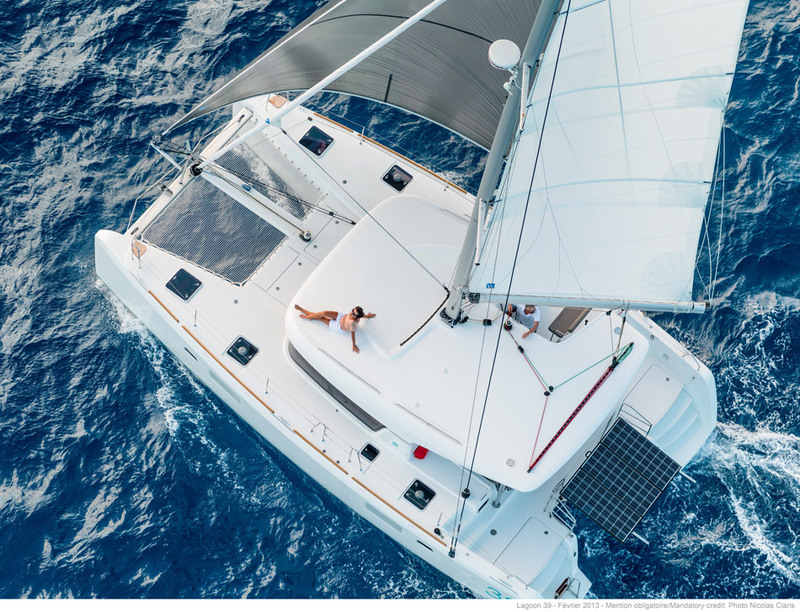 VPLP’s touch goes far beyond all this: the simple, efficient deck layout allows to control the main maneuvers from the steering station, the wide side decks are safe and uncluttered and the stern platforms are designed for an easy, protected boarding. 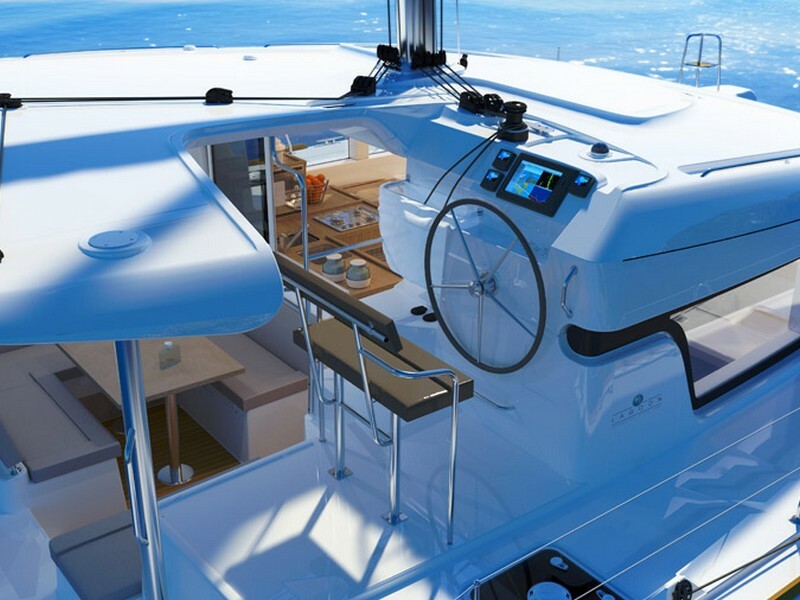 As for the cockpit, it will certainly serve as a reference in terms of comfort and protection: a wide transversal gangway aft, a dining table to port and settees to starboard, with a direct access to the steering station either from the cockpit or from the deck. 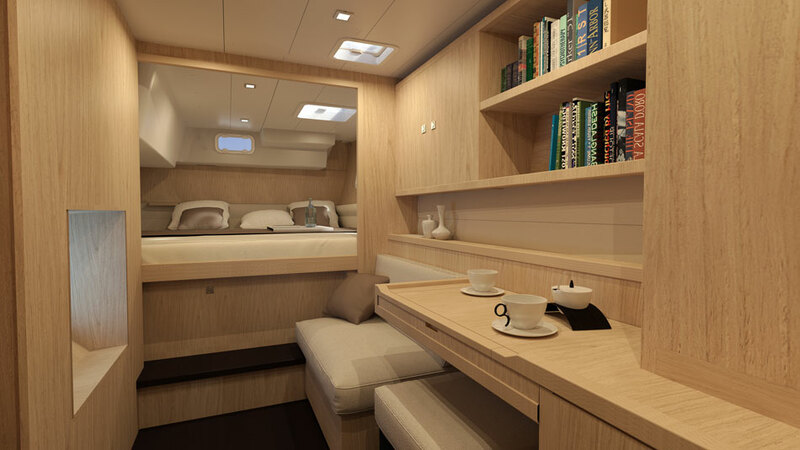 Inside An efficient use of space obviously ranks among the top priorities when developing a 39’ cruising catamaran. 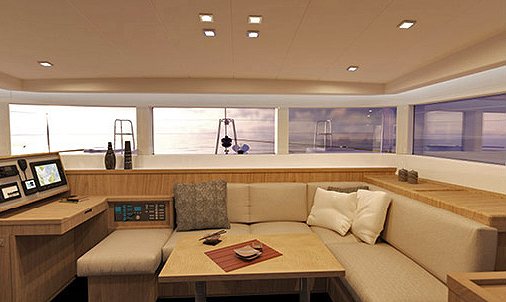 In this regard, the Nauta Design office and Lagoon R and D choices combine inventiveness and elegance. 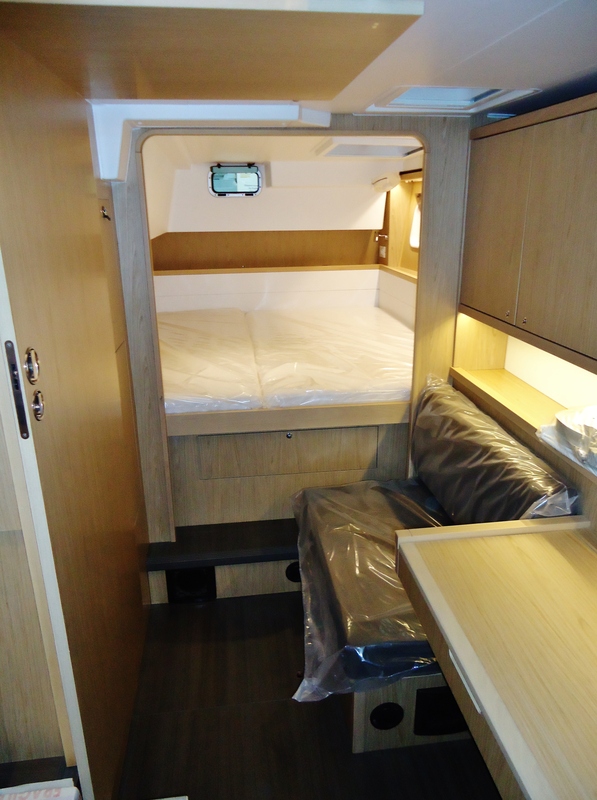 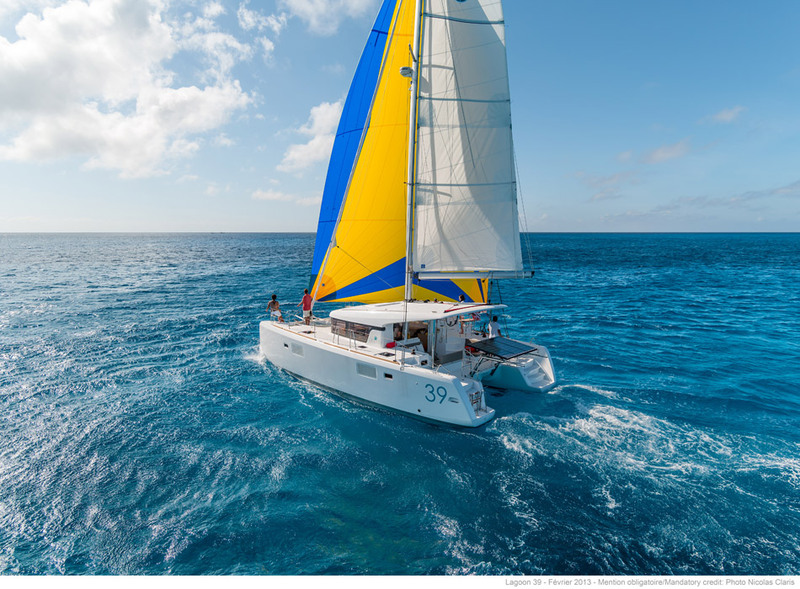 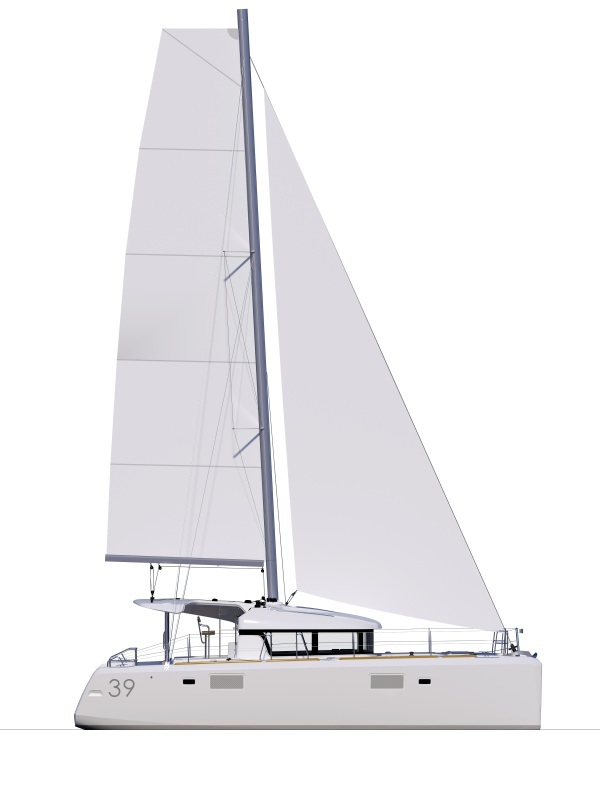 Last but not least, if the Lagoon 39 is available in 3 and 4 cabin layout versions like most catamarans her size? 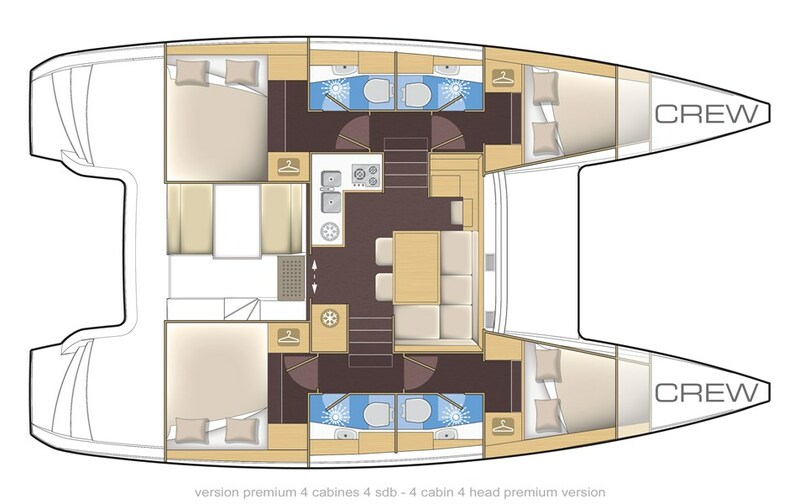 She will also be offered in a 2 cabin version, which means the equivalent of an owner’s suite in each hull with king size bed, desk, bathroom… After the Lagoon 400 S2 and the Lagoon 52, a third new Lagoon model will be presented at the coming Paris and Düsseldorf boat shows.